Artículo ​​# 307557 Puntos Stash: 5995 (?) This is the number of points you get in The Zumiez Stash for purchasing this item. Stash points are redeemable for exclusive rewards only available to Zumiez Stash members. To redeem your points check out the rewards catalog on thestash.zumiez.com. 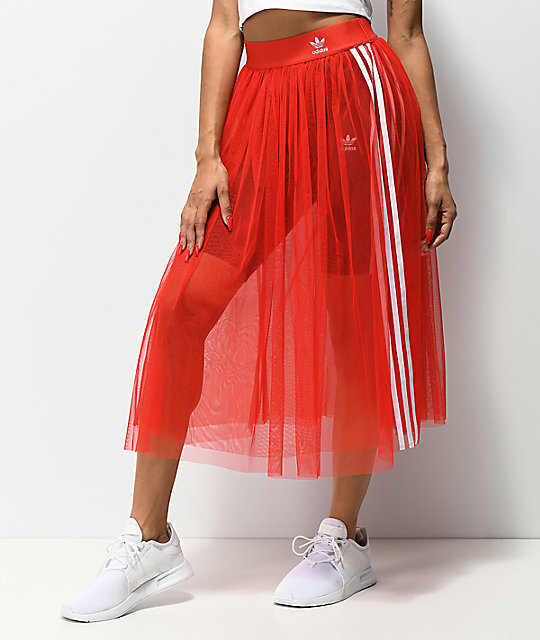 Add a feminine touch to your athletic style in the 3 Stripe Tulle Red Skirt from adidas. 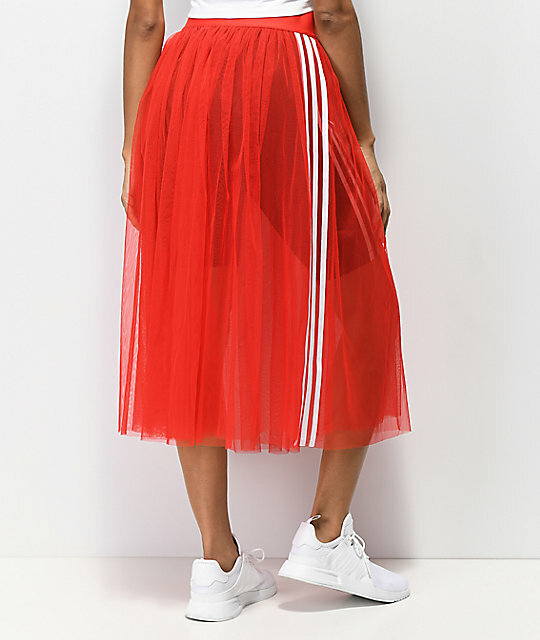 This sheer skirt is cut from a vibrant red tulle material for a bold look. 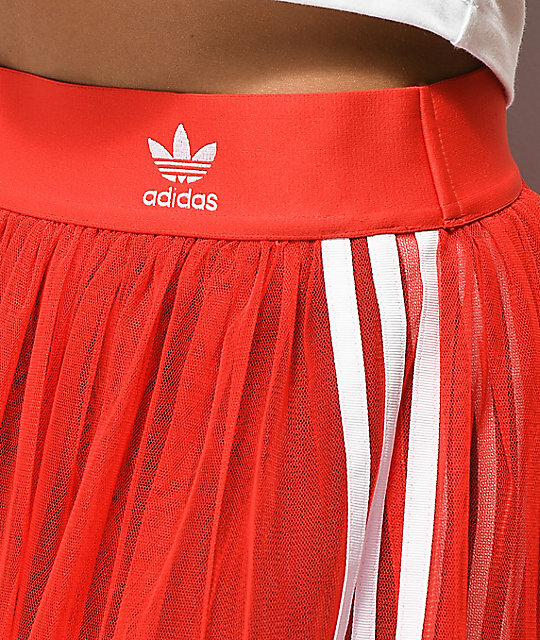 Adidas adds their signature 3 stripes along both side seams and a white Trefoil logo at the left hip, and a thick elastic waistband. 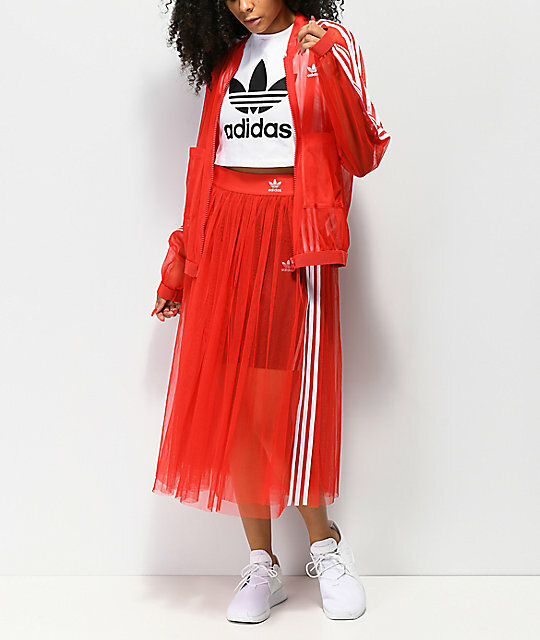 Pair with bike shorts or leggings underneath for a sporty look that is sure to turn heads. 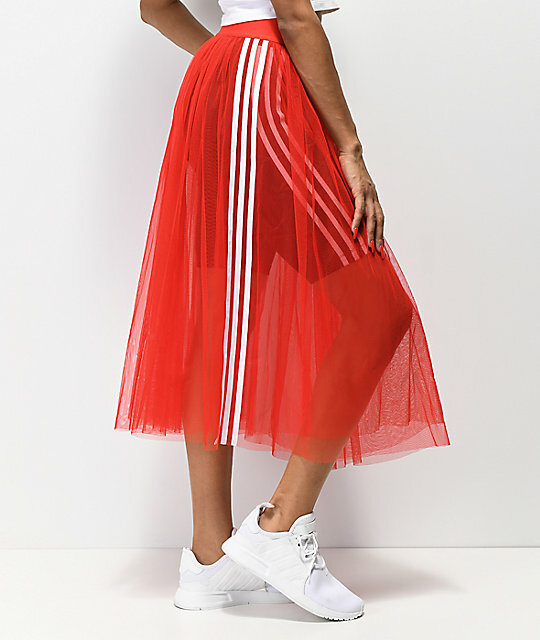 3 Stripe Tulle Red Skirt from adidas. Trefoil logo at left hip.